“Great Reform,” an exhibition celebrating the 40th anniversary of China’s reform and opening up, is now showing at the National Museum of China in Beijing. 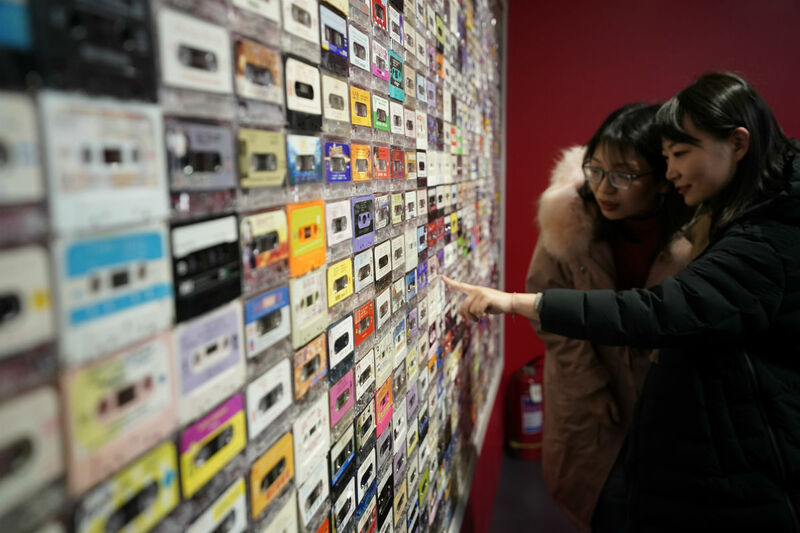 It is not a traditional exhibition by any means considering the wealth of media it adopted to help visitors understand what happened in China over the past 40 years. Exhibits on display range from more traditional methods like painting, photography, installation and video to more avant-garde ones such as VR, arciform movie and immersive experience. The exhibition is a futuristic photo gallery with more than 10,000 pictures depicting the changes that have taken place in China’s economy, society and environment. 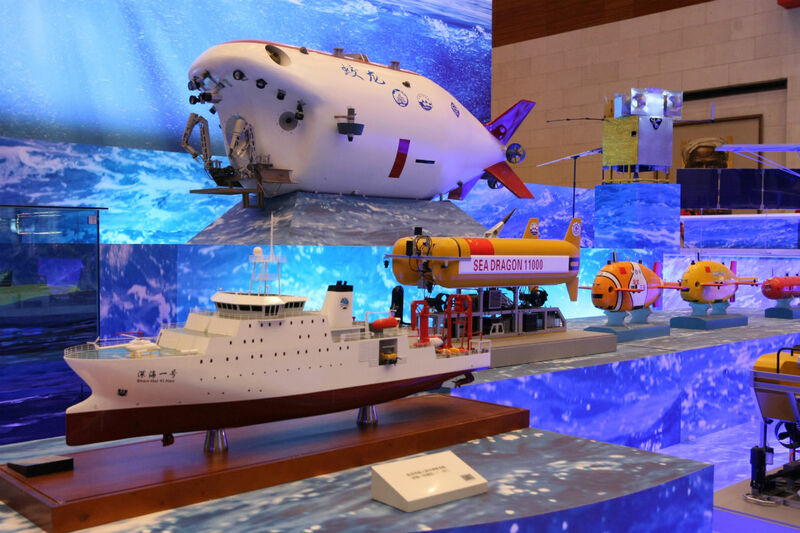 It is a high-end tech show, displaying China’s most cutting-edge work in scientific research, deep dives under the sea and rockets carrying people into space. It is a time machine capable of whisking patrons to the past with profound nostalgia. 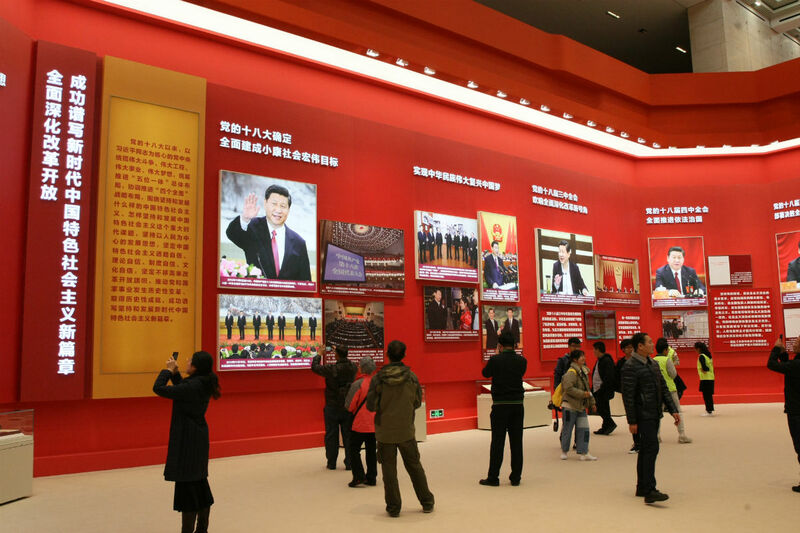 Already, the exhibition has attracted 700,000 visitors from across China and around the world to celebrate this important year for China’s reform and opening up. The show will last through the end of this year. Pictures are one of the best ways to showcase China’s significant changes over the past 40 years since the country began implementing the reform and opening-up policy. Especially in the early days when little technology was available to record national important events or ordinary lives, the film camera played an important role. An image of Deng Xiaoping, “chief architect” of China’s reform and opening up, was captured on a film as he presided over the Third Plenary Session of the 11th Central Committee of the Communist Party of China (CPC), a milestone meeting in China’s history when the reform and opening up was set as the key tone for the development of China. Since then, shelving the struggle of ideology, China has focused on economic development and marched forward. After Deng, subsequent generations of Chinese leaders carried the torch of reform and opening up forward. Time passed, and today has arrived. We have a digital image of Xi Jinping, now president of China, delivering a keynote speech at the first China International Import Expo, organized in November 2018, and declaring “China will not close its door to the world and will only become more and more open,” echoing the essence of the reform and opening-up policy when it was first proposed. Chinese people are no doubt the most devoted contributors to China’s remarkable changes. In black-and-white pictures, ordinary Chinese people build skyscrapers from the ground, reclaim wilderness, construct roads across the plateau and mine in desolation, all striving for a better life. Each milestone China has achieved can be attributed to ordinary Chinese people from all walks of life and their hard work. The exhibition hits nostalgic nerves for every Chinese adult. In one section of the exhibition hall, an old-fashioned store is open, offering old commodities once popular with Chinese people including snacks, home appliances and toys. A small black-and-white television set drew special attention from visitors. Back in the 1970s, television was a luxury for most Chinese people. If any family had one, often a Japanese brand, its neighbors would be drawn to the living room. Due to limited technology and unstable signals at the time, television programs often ended by 10 p.m., which became the go-to-bed signal for Chinese people for many years. By 2017, China was the world’s largest producer of television sets, reaching 170 million, with many of its homegrown brands sold all over the world. Last October, China Central Television (CCTV) launched the country’s first 4K satellite ultra HD channel, covering cable television subscribers in 22 provinces, municipalities and autonomous regions. 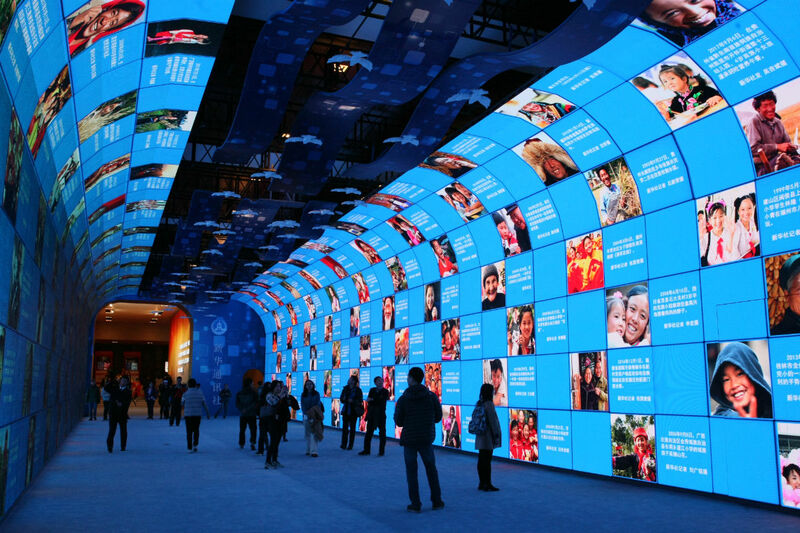 At the exhibition, the audience can also experience the 4K technology. 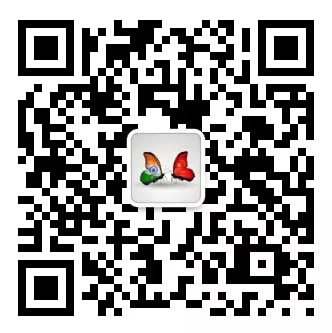 Also at the exhibition, the audience can see the food ration tickets that prevailed during the period of the planned economy as well as the license for China’s first private business and the certificate for China’s first stock, which symbolized China’s turn to a market economy. The exhibition hall even features a catwalk, on which models trot wearing clothes from different periods over the past four decades. In the early days of China’s reform and opening up, Chinese people, female and male, wore identical clothes featuring three primary colors of grey, military green and black. But today, custom-made garments are widely popular in China. “Amazing!” gasped a spectator experiencing a manned simulator of Warrior. “What a beautiful fish!” Warrior is China’s second manned deep-sea submersible, capable of diving as deep as 4,500 meters. Liu Yeyao, operator of the vessel, has been on-hand to share his experience in the six deep-sea exploration missions in which he participated. Alongside the submersible are models of the Fuxing bullet train that visitors can attempt to “drive.” Since China’s first high-speed rail opened in 2008, a decade of development has brought the total length of its high-speed railways past 25,000 kilometers, linking most major cities in the country.